Long before there was The Phoenix, in the early 1970s Jerry McDermott and his wife Linda visited San Pedro and fell in love with the sleepy fishing village and built The Paradise Resort Hotel. For many years, the Paradise’s bar and dock were a favorite among locals, while its thatch cabanas were a rustic getaway for many of the first visitors to Ambergris Caye. They sold the hotel in 1991 and moved to the mainland of Belize. In 2004 Jerry and Linda bought the resort back and took down The Paradise Hotel in order to build The Phoenix, a larger and more luxurious resort at the same prime beachfront location in San Pedro. Pool Bar and Upstair Lounge- Our Pool Bar (10am to 5pm) and Upstairs Lounge (5pm to 10pm) also provide food and drink service to on-site guests. 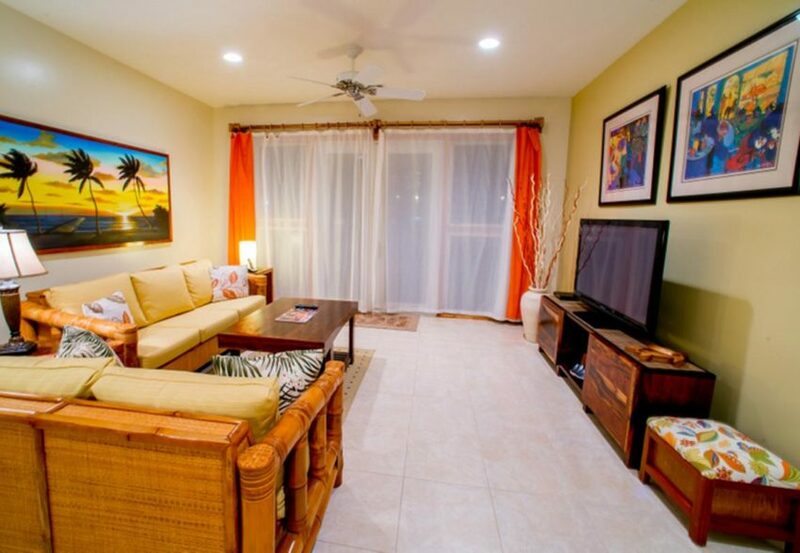 Full kitchen, living room, master bedroom, master bath, and private Caribbean-facing veranda. Provides one king bed. 1,300+ s/f inside, 500+ s/f veranda. Beach view suites overlook our pools and grounds and then the Caribbean. Full kitchen, living room, master bedroom, master bath, guest bath, private wrap around Caribbean-facing veranda. Provides one king bed. 1,700+ s/f inside, 600+ s/f veranda. 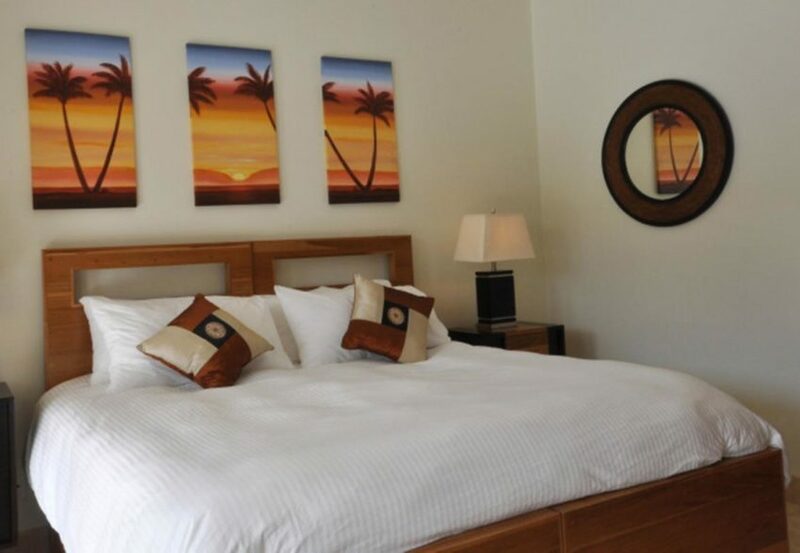 Beachfront suites are closest to the Caribbean and offer the best views. 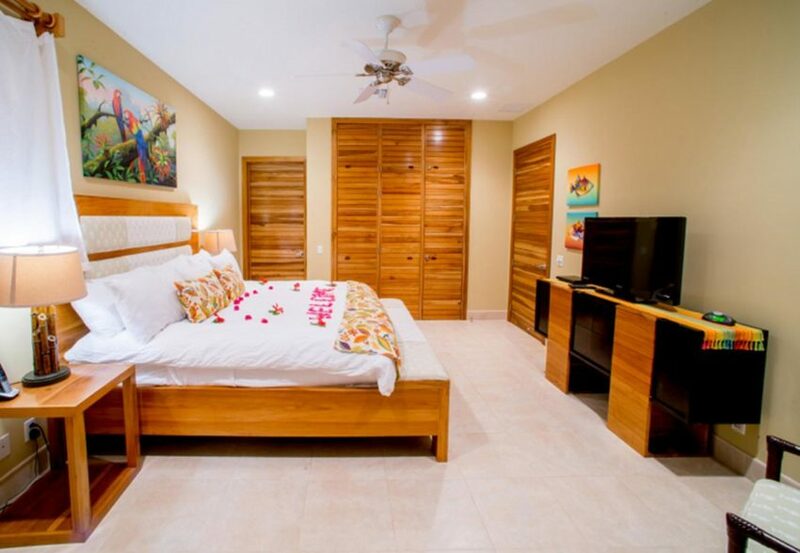 Full kitchen, living room, master bedroom, master bath, guest bedroom, guest bath, private Caribbean-facing veranda. 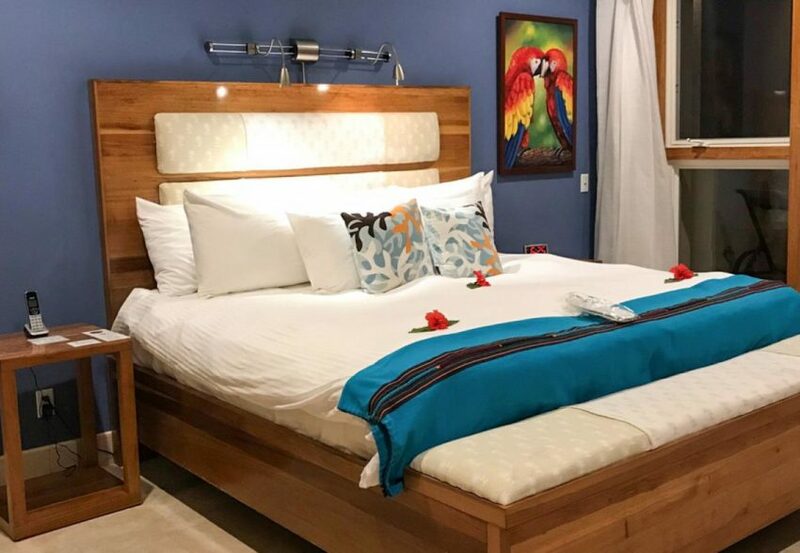 Provides a king bed in the master bedroom and choice of two twins or a king bed in the guest bedroom. 1,500+ s/f inside, 350 to 900 s/f verandas. Beach view suites overlook our pools and grounds and then the Caribbean. Provides king bed in the master bedroom and choice of two twins or a king bed in the guest bedroom. 1,600+ s/f inside, 350 to 1,100 s/f verandas. 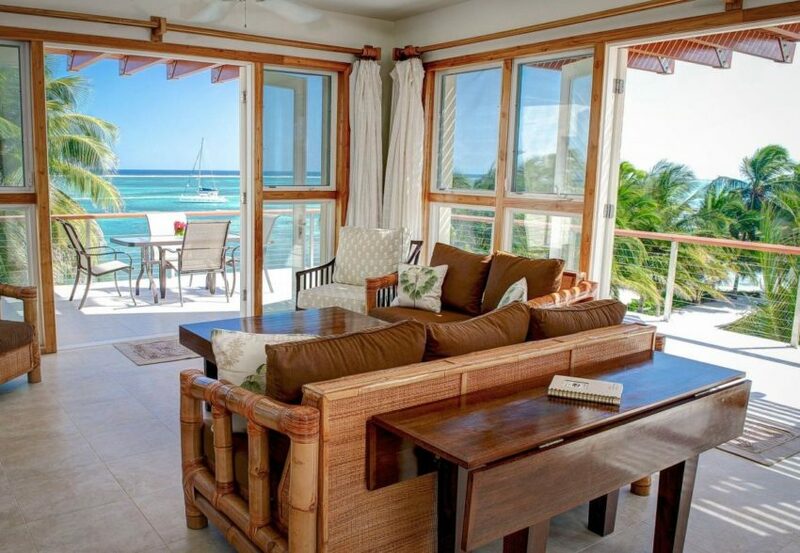 Beachfront suites are closest to the Caribbean and offer the best views. Provides king bed in master bedroom and either a king or two twins in each guest bedroom. 1,800 s/f inside, 355 s/f veranda. Beach view suites overlook our pools and grounds and then the Caribbean.